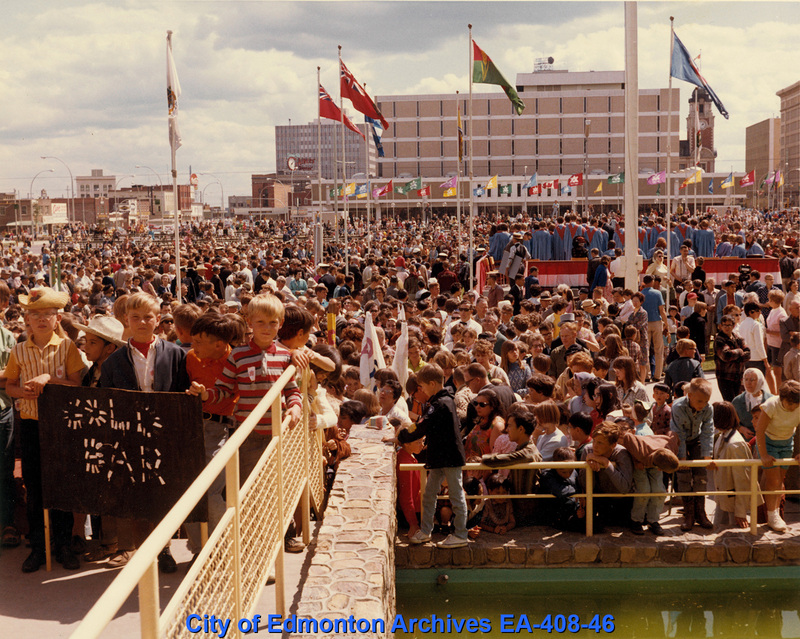 The Province of Alberta matched the Federal Government’s grant of $1 per resident to distribute for Centennial projects. The Province administered the grants for nearly 400 community projects such as memorials, parks, the restoration of historic buildings, writing books, composing original music, and commissioning artwork. The Province was offered up to $2.5 million dollars in matching funds towards a Confederation memorial project. 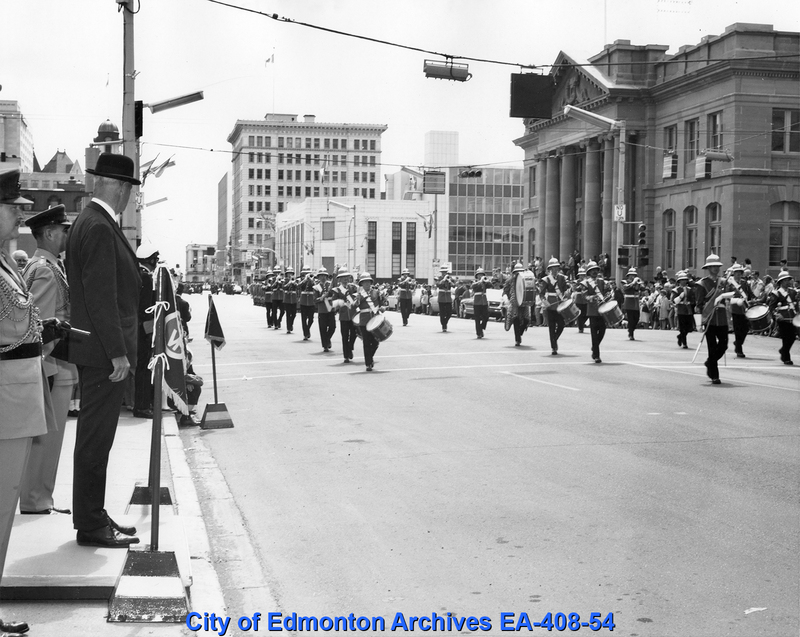 Being the capital city, Edmonton benefited directly from this investment, which was used to build the Provincial Museum and Archives of Alberta. The Province and City partnered to throw a massive birthday bash for Canada on July 1. 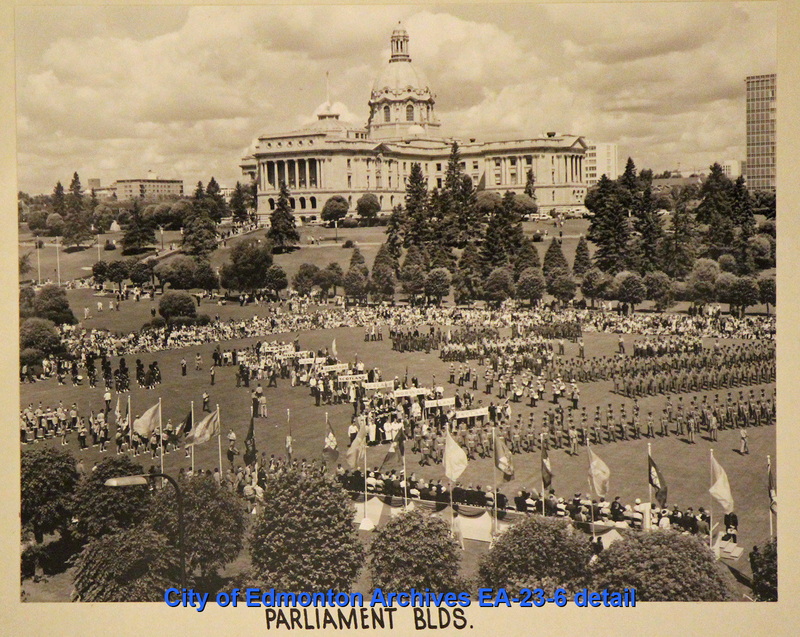 The event began on the south lawn of the Legislature, followed by a parade to City Hall, where cake was served and the festivities continued. 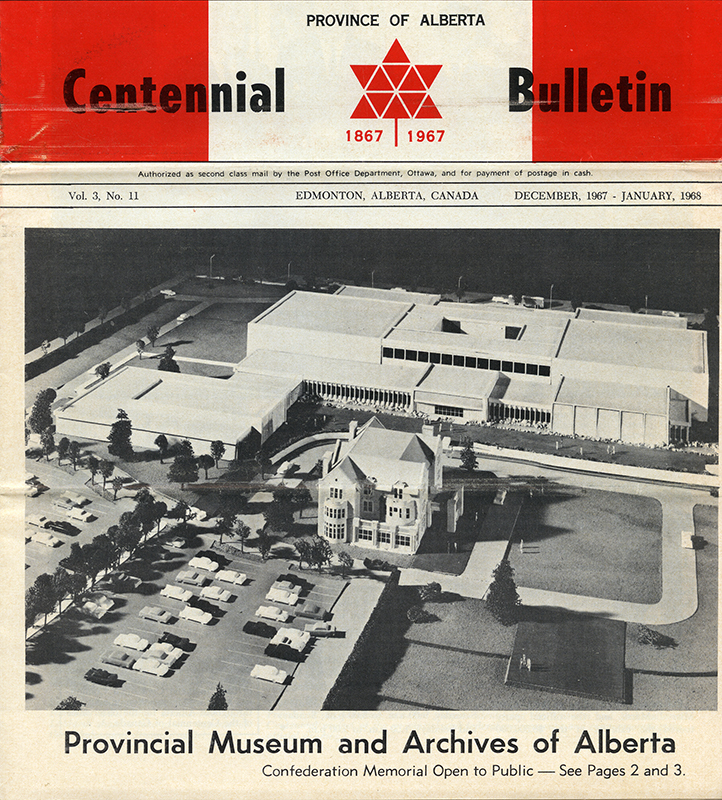 The Alberta Centennial Committee was involved in promoting the Centennial all over the province. They did this in a variety of ways, including the Centennial Bulletin, a Centennial calendar of events, and the creation of ephemera like bumper stickers.